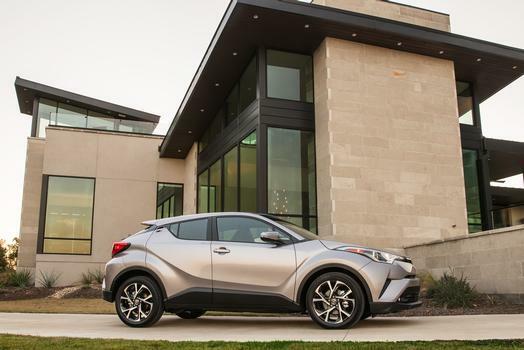 The 2018 Toyota CH-R is a compact SUV offering a stylish design, a large number of features and a vast array of safety features. It’s powered by a 2.0 liter four-cylinder engine with an output of 144 hp and paired with a continuously variable automatic transmission. The 2018 CH-R seats five passengers and comes standard with cloth seats and a leather wrapped steering wheel. Interior features include a rearview camera, power side mirrors, a 7″ lcd touch screen, HD radio, USB connectivity and bluetooth connectivity. Toyota Safety Sense is included and comes with a pedestrian detection system, adaptive cruise control and a lane departure warning system. The Toyota CH-R offers numerous safety features including brake assist, ABS, night vision, air bags, a blind spot monitoring system and ESC. Contact us if you are interested in test driving the Toyota CH-R in Rancho Santa Margarita.